Termites aren’t up for this battle. 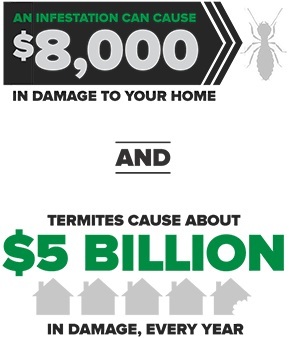 Our perimeter treatment eliminates subterranean termite colonies and helps keep them from invading again. And if they somehow manage to sneak back in, we’ll make them crawl for mercy and then give them none. TERMITES DRAW THEIR LAST BREATH. 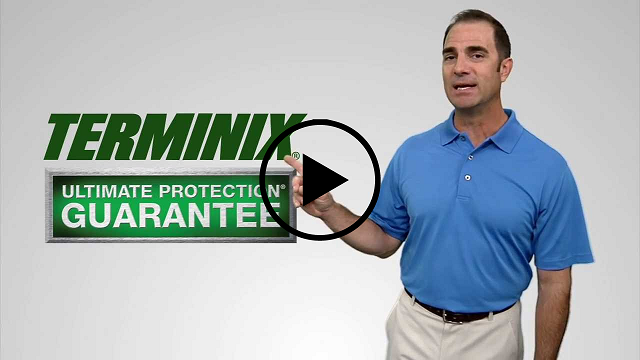 The Terminix Liquid Defend System® turns your home into a no-termite zone. And as long as you keep your plan, annual monitoring will continue to protect your home against new subterranean termites, including Formosan. If we find anything, you’re covered against treatment and damage repair costs. Our trained specialists create a trench in the soil and carefully drill through slab areas around the perimeter of your home, then apply a highly effective liquid treatment agent. The treatment agent eliminates subterranean termites as they forage through treated soil and prevents them from infesting your home. WHAT IS IN THE LIQUID TREATMENT THAT MAKES IT SO EFFECTIVE AGAINST TERMITES? The product used in the Liquid Defend System is “non-repellent,” meaning it doesn’t kill the termites right away. Rather, it works slowly so that the termites that come in contact with the treatment can carry it to other termites throughout the rest of the colony. WHAT IS INVOLVED WITH A LIQUID TREATMENT? With the Terminix Liquid Defend System, one of our trained specialists creates a trench in soil areas and carefully drills, when necessary, through slab areas around the perimeter of your home, then applies a highly effective liquid agent. The treatment agent sticks to termites as they forage through the treated soil. Elimination begins almost immediately as the termites spread the material to other termites. HOW LONG DOES IT TAKE TO KILL OR CONTROL A TERMITE COLONY WITH A LIQUID TREATMENT? Because subterranean termite colonies live underground, it is difficult to determine when a colony might be killed. It might take up to six months to achieve control. However, we have seen that termite activity within a home usually ceases about 30–60 days following our treatment. The Terminix Liquid Defend Treatment is designed to use the termites to spread the material throughout the colony, collapsing the entire colony rather than quickly killing a few termites near the surface. It takes a little longer, but the results are much better. WHEN SHOULD A HOME BE RE-TREATED FOR TERMITES? Your home should be inspected annually, but annual re-treatment of the structure is prohibited. Re-treatment only takes place when there is clear evidence of re-infestation, treatment zone disruption and/or breakdown of the termiticide treatment zone in the soil. Disruption of the treatment zone is usually because of construction, excavation or landscaping.